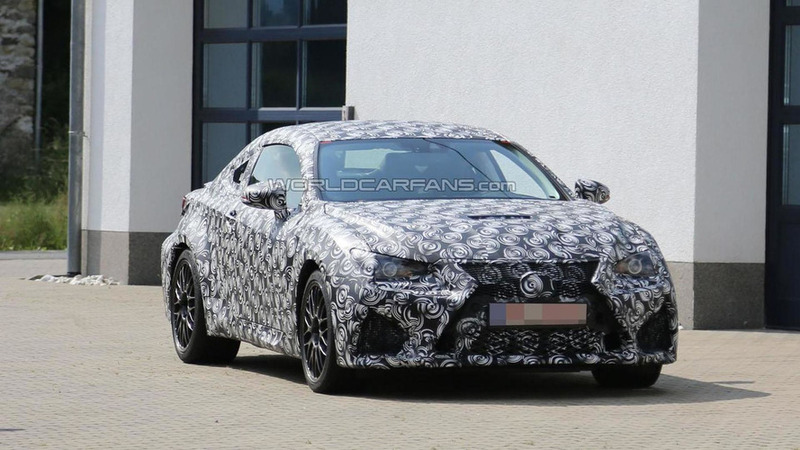 The 2015 Lexus IS F Coupe has been spied for the first time. Caught being benchmarked against a BMW M3 Coupe, the IS F has a familiar design which borrows cues from the LF-CC concept that debuted at the 2012 Paris Motor Show. Notable styling highlights include an aggressive front fascia with a spindle grille and large air intakes. We can also see a ram air intake, a trunk / tailgate mounted spoiler and the IS F's trademark four-tailpipe exhaust system. The interior carries over from the IS sedan and comes nicely equipped with metallic trim, an analogue clock and contrast stitching. There's no word on what will power the model, but IS chief engineer Junichi Furuyama recently hinted the 5.0-liter V8 engine could be dropped to meet Euro 6 emission standards. Furuyama went on to say the IS F could use either a naturally-aspirated or turbocharged engine but he favors natural aspiration because it offers a "more pure experience."